Nice sticker pack, but needs a few adjustments. Some of the stickers lost their animation. 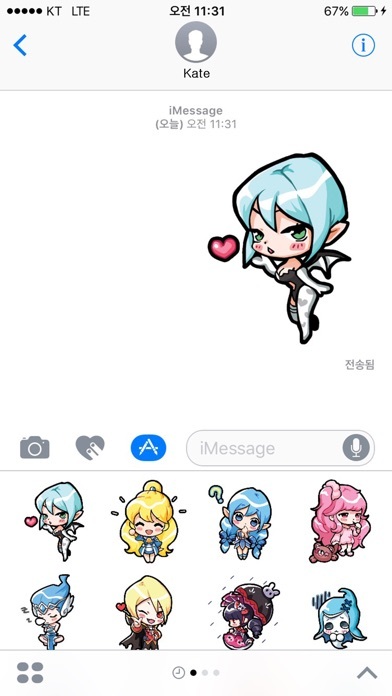 You can add the Summoners War app, which has some of the sticker from the pack but has some unique stickers. If you could add all of the stickers to this pack, that would be great. I've noticed that some of them lost their animations, and they're stuck on one frame. 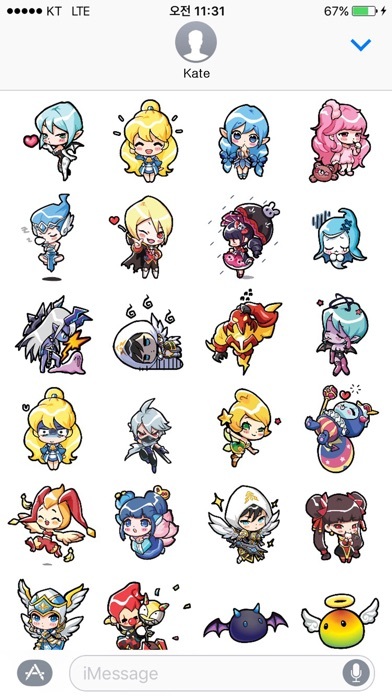 Same with some stickers that come with the game's application. It seems to be the case for other devices, even on the newest ones. FOR THOSE OF YOU WHO DONT KNOW HOW TO GET THIS APP TO WORK, READ THIS You have to enable stickers in the stickers app store in imessage. Once you are in the sticker app store in imessage, press manage and turn it on then leave the store, press the stickers icon in the text and press the oval app cover. You will be able to see the stickers it comes with. only if i can give this app a zero, there is no way to use the app. where are the instructions? In settings I go to keyboard and it won't come up. Am I doing something wrong? I have other sticker apps and they all worked except this one. I really would love to use this sticker app. Like the game a lot and why not have them as gifs as well lol just needs more mons.but it's pretty cool.